NOTE! These machines are currently only offered as a rebuild and subject to availability. The rebuilds are of a high standard. Deliveries are quite extended due to our factory being very busy building new machines. For further information please call us and ask for ‘Machinery Sales’. 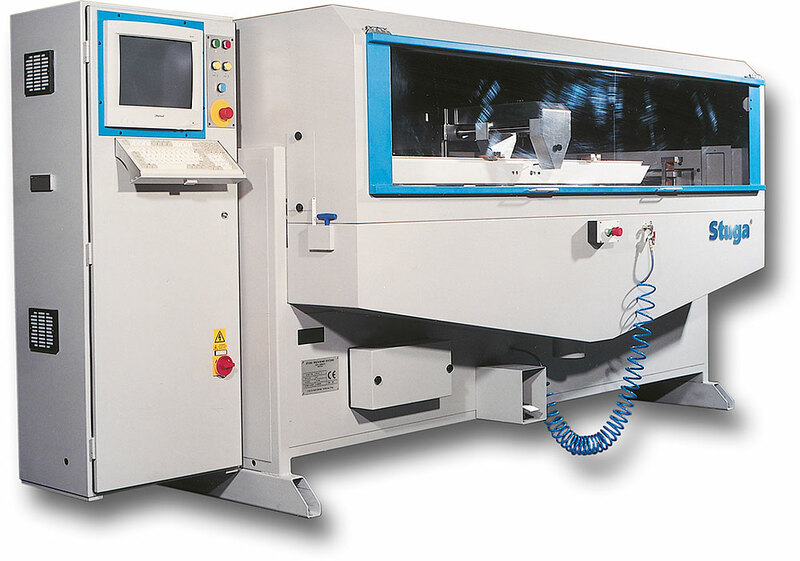 The Stuga Computer Controlled Router represents a technically advanced system of Router Machining for preparation of aluminium and PVC-u extrusions. The cutting heads can be programmed to move throughout three dimensions to cut or drill any arrangement of slots or holes. Using the latest PC compatible computer system, the machine runs a stored program of movement commands. The programs are securely stored on hard disk drive inside the machine. An editor facility allows the programs to be created, edited and stored. Now with Microsoft Windows front end. The Stuga RouterMaster can be supplied with three different length cutting capacities and two different height cutting capacities. The carriage unit features a multi-spindle overarm headstock of three ninety degree opposed cutter spindles. Using standard 8 mm cutters, machining can be carried out on any of the three faces along the entire length of an extruded section. Secure clamping is provided by a number of clamp block assemblies. The upward stroke of the clamps will ensure an accurate datum to the top profile blocks. The clamping assemblies are pneumatic powered and actuated by a foot valve.